Welcome to Doktor Luke's - a respectable coffee house. We look forward to welcoming you to Doktor Luke's, in Downtown Sydney. We are just a few minutes' walk from most of the major hotels, as well as from the Joan Harriss Cruise Pavilion. Our espresso bar has everything a coffee aficionado could dream of, and our baristas have been trained by our own master roaster. If you don't drink coffee, you'll find hot apple cider and hot chocolate alongside a collection of black, herbal, and green teas. We also serve a host of creative cold drinks, including our wildly popular frappes, made with Ghirardelli cocoa, and Italian sodas. We also offer an assortment of delectable baked goods, ranging from date squares and oat cakes to our famous pumpkin chocolate chip loaf. 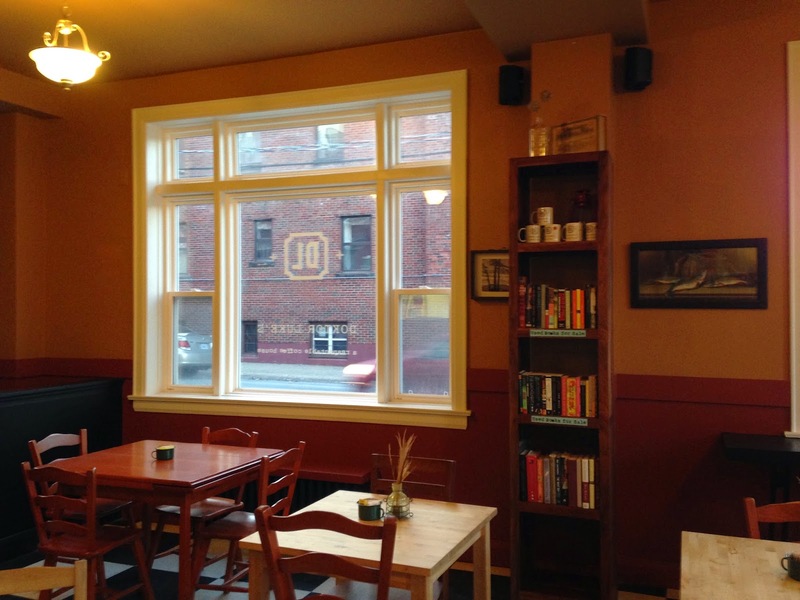 We are an independent coffee house, dedicated to our customers' delight and the planet's longevity. Here is where taste and ethics meet. Doktor Luke's - a respectable coffee house. Watermark theme. Theme images by andynwt. Powered by Blogger.